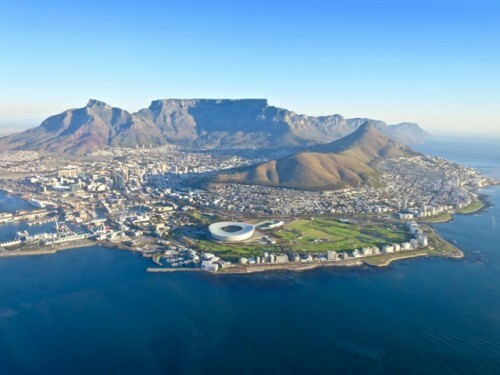 An aerial view of Cape Town. Cape Town (South Africa) never fails to amaze me. It truly is one of the most spectacularly situated cities in the world and each time I return, I’m always blown away by its beauty. Located at the southern tip of the African continent, Cape Town is backed by the iconic Table Mountain and fronts the expansive Table Bay and the Atlantic Ocean. 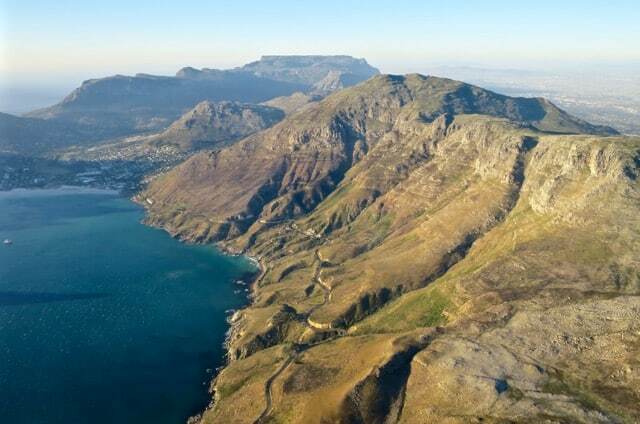 To its south, a range of mountains skirts the Atlantic Ocean and stretches to the shores of Hout Bay, another jaw-dropping bay, and further southeast to False Bay, a massive bay perhaps most famous as one of the few places in the world where Great White sharks leap out of the water when they hunt for seals. On my recent trip, I had the opportunity to experience this majestic beauty from a different perspective: a helicopter! 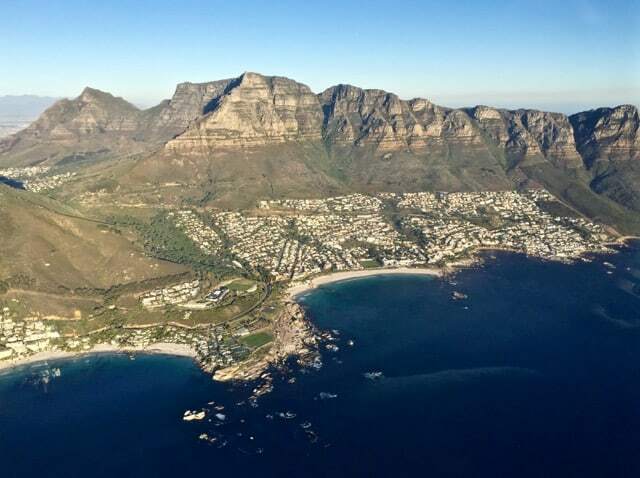 I jumped at the opportunity to join a helicopter tour in Cape Town with Cape Town Helicopters without thinking twice and the experience was simply unforgettable! 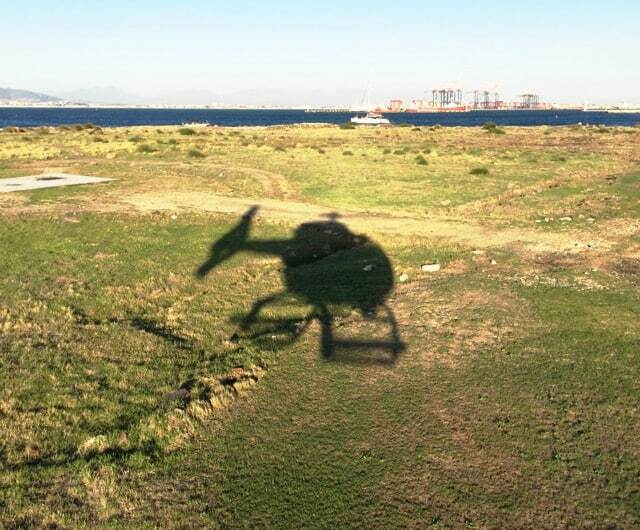 The Cape Town helicopter tour departs from their helipad at the far end of the V&A Waterfront. 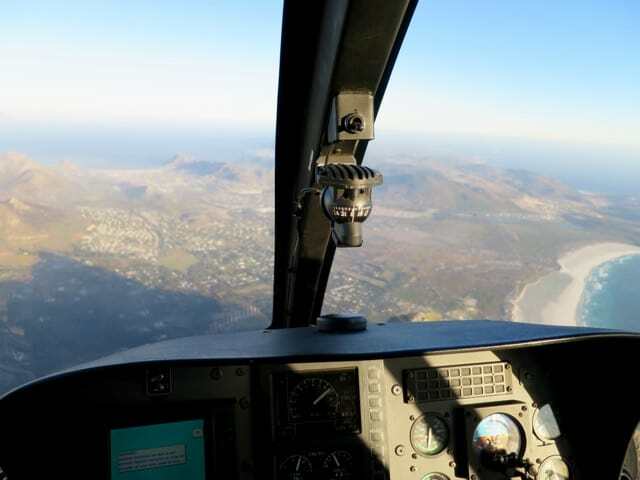 There are various tours to choose from and I went for the 24-minute ‘Two Oceans’ flight – I’ve driven this Cape Peninsula route many times and I was so excited to finally fly it! Me and my colleague Nick arrived at their office 30 minutes before departure and were led into a waiting lounge by the cheery personnel. 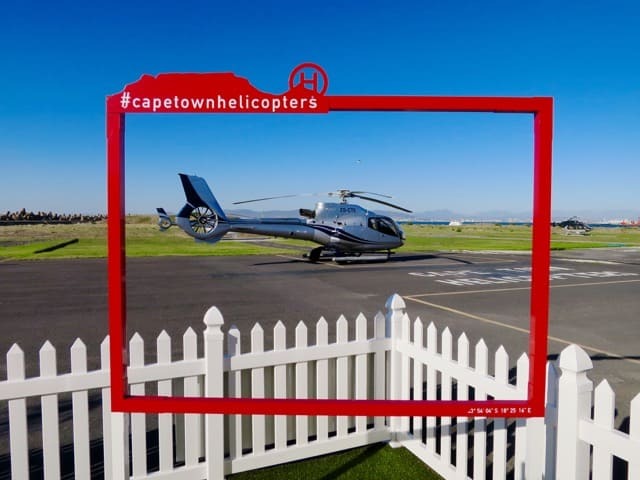 We were weighed and shown a safety video in the lounge – it was clear that Cape Town Helicopters takes safety very seriously as we received instructions on do’s and don’ts. The Airbus helicopter we flew in. Before long, we were introduced to our pilot, Maurits, who led us onto the tarmac. The brand new, futuristic-looking Airbus helicopter gleamed in the late afternoon sun – we were so lucky with the weather! We climbed into the helicopter, buckled up and put on our noise-cancelling headphones. I was so excited I could scream!! Haha! We were soon airborne and the breathtaking views unfolded as soon as we left the ground! 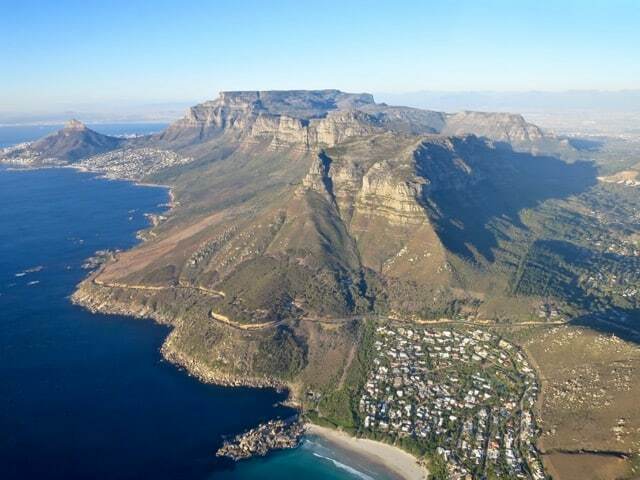 We passed the trendy Camps Bay suburb with its gorgeous beaches and backed by the Twelve Apostles, a series of mountain peaks. 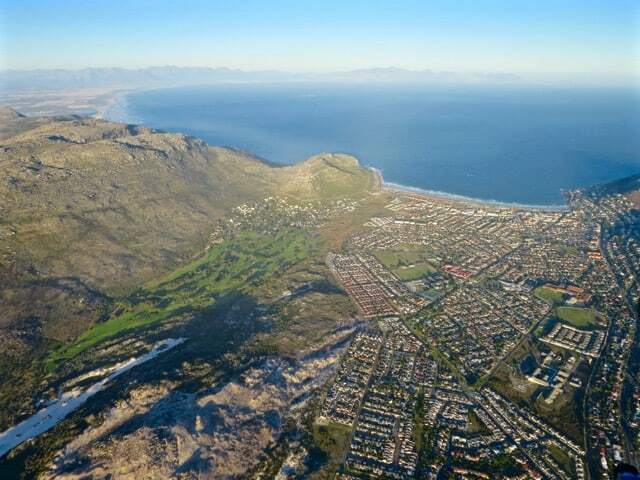 We basically followed the path of the incredibly scenic Victoria Road which runs from Camps Bay past other suburbs such as Llandudno (in the photo) and down to Hout Bay (the bay in the middle of the photo). Looking back up the coast from Llandudno. Table Mountain is the flat-topped mountain in the distance. From Llandudno, we flew past the blue expanse of Hout Bay. The winding road below is the Chapmans Peak Drive, one of the most spectacular drives in the world! From Hout Bay, we flew over the mountains to False Bay and passed the towns of Fish Hoek, Kalk Bay and Muizenberg before making our way back to Cape Town. The scenery was just mind-blowing! I remarked how awesome it must be for the pilot to see this every day – during the whale season, you can also see whales (especially in Hout Bay and False Bay) and the odd Great White shark! Maurits, our pilot, laughed and said, “It’s the most beautiful office in the world!”. If you’re visiting Cape Town, this is one tour I can absolutely recommend! 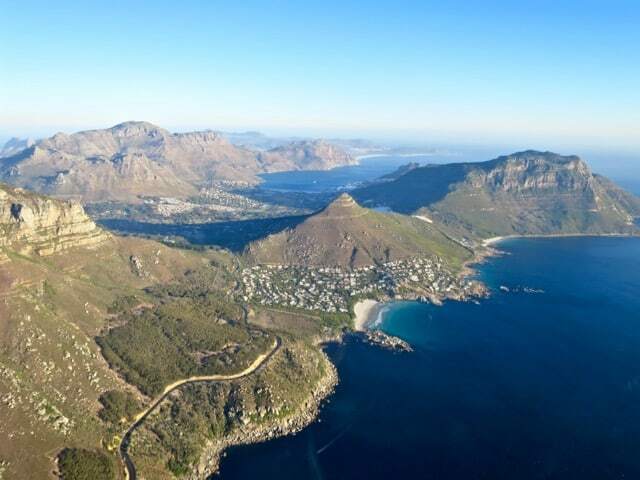 Seeing Cape Town from a helicopter is just one of those magical experiences that will stay etched in your mind forever! Note: I was invited by Cape Town Helicopters to experience this flight. My enthusiasm and views expressed above are mine of course. Two years later, I went as a paying guest and updated this post. Doors off? Brrrrr! I did something similar on Reunion Island in a microlight. I chose to keep the door closed when we flew over the volcano and only opened the door when we flew along the coast. haha! Thanks for your comment! Yep, the weighing part does make sense but it seemed more like a formality than anything else. The helicopter we were in seats four and there were three of us (including the pilot). Absolutely gorgeous. I’ve never been in a helicopter, but it seems like a fun time. It initially shocked me that they weighed you before you got on, but that makes sense. Although I hope they’re not just shoving extra people on if you happen to be extra light :).